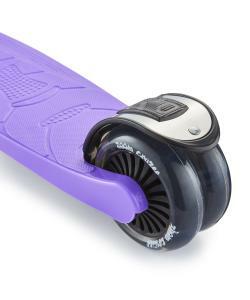 Surf the pavement with stability and style on Zoom Cruzer three wheeled scooter, designed specifically for 3 to 5 year olds. 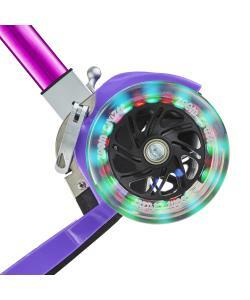 The unique extra wide rear wheel is 4.5cm wide providing maximum stability for younger riders. 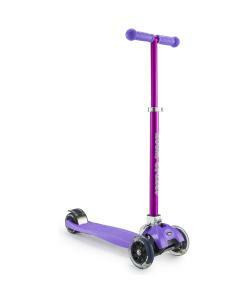 Combine this with the two PU wheels at the front and stability is increased even further meaning fewer falls and a great way to learn about balance. Steering is safe and easy with the Zoom Cruzer's unique tilt action steering, simple lean in the direction you want to go. 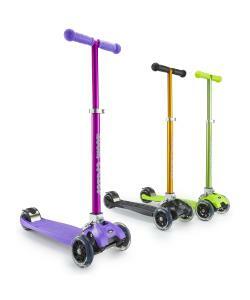 This allows children to develop their weight distribution and co-ordination skills whilst having fun outside safely. 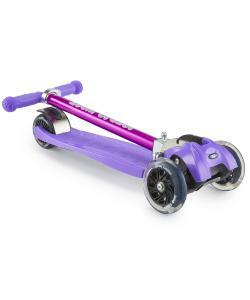 The adjustable handle starts at a height of 55cm and has 2 more height settings at 66cm and 76cm; the Zoom Cruzer grows as your child does. 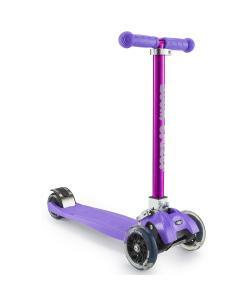 The lightweight Zoom Cruzer is built to last, with robust, durable wheels (2 x 120mm front, 1 x 100mm rear), strong re-inforced extra grip footplate and chunky rear foot brake. The aluminium handlebars gives extra support and the easy grip soft rubber handles make riding a pleasure. What a great way to ride around!